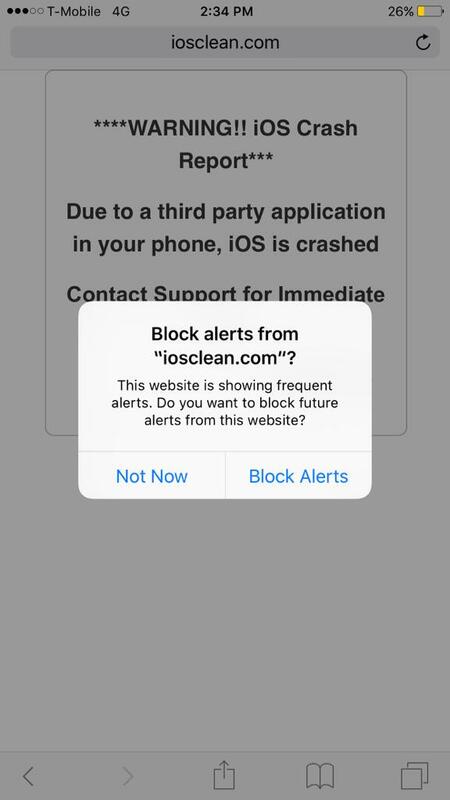 Apple’s latest beta release of iOS 9 brings with it a new tool in the fight against dodgy popups and malicious spammers. And that’s great news indeed. With great power, comes great responsibility – or so at least one superhero once said. It’s equally true that with a great number of devices sold comes a great number of people trying to take advantage of that for their own gains. Apple is finding that out, with iOS becoming quite the target for spammers and scammers. Thankfully, it looks like it is starting to fight back. One relatively new avenue of attack by scammers is the recently discovered ‘call center scam,’ which sees website show what appears to be an iOS error message saying that something has gone wrong, going on to suggest that a phone call to the provided number might be in order. Of course, even if the provided phone number is a official one, you’re not really safe because the chances are that people on the other end of the phone are either going to try and snag your iCloud credentials, or get a credit card number out of you. Neither are great news. 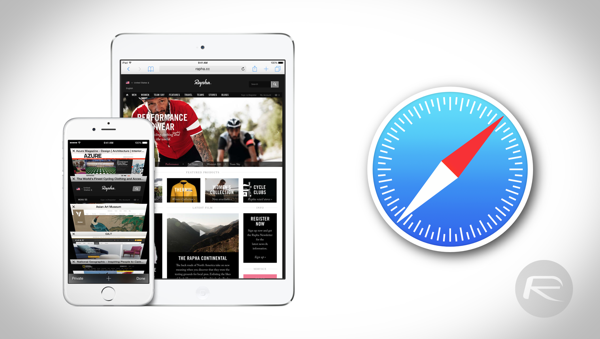 Apple is currently publishing developer and public betas of iOS 9 out to testers ahead of an expected September launch alongside new iPhones. A feature that you have to wait till fall release for. I mean more time for scammers to do some damage. But at least Apple working on fixing it. I believe that is a feature that Firefox had for some time. Better late than never when improving. All Safari needs is a uBlock Origin add-on. Same here, nothing to do about it. Just wait next beta release and hopefully it will be fixed. Make sure you carefull with amateur remove simlock teams and free unｌｏck providers. I just bought and was unｌｏcking my iphone 6 trough an online site, i was using it for almost a month and no issues but then when i just been on a business tripit’s got suddenly blocked by the provider. I was shocked by this I was wanting to remove simlock again with a reliable team but it wasn’t possible once its locked back it’s not possible to unｌｏck it again, they said. My pal claimed unｌｏcking at ATTIPHONEUNｌｏCKING. [cｏm] is very good. Anybody may confirm this? just google atttiphoneuunlockingis one of the few sites that’s still able to ՍΝᏞΟᏟΚing AT&T phones after AT&T took away the access to their database from many cheap ՍΝᏞΟᏟΚings. just google atttiphoneuunlockingis among the most secure սոⅼοсking site for AT&T without any doubt.